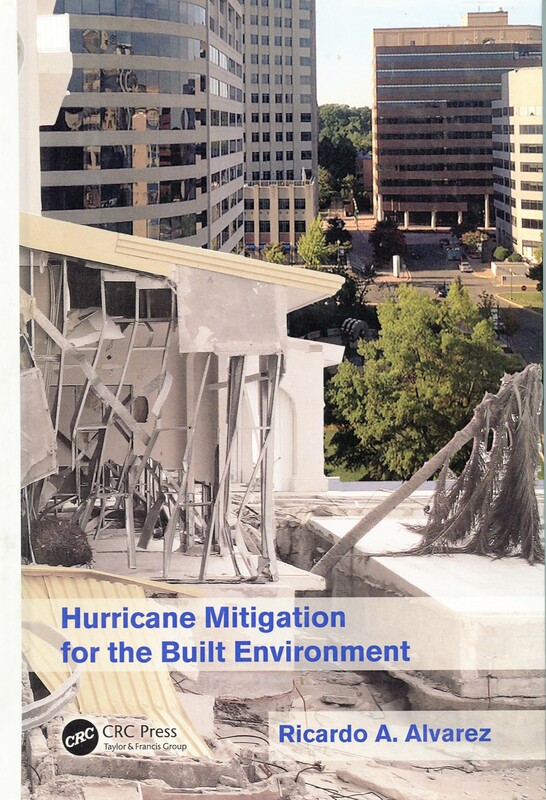 If you live in a hurricane vulnerable region this book ‘Hurricane Mitigation for the Built Environment’ is a must-read. Get it NOW at 20% off the publisher’s price shipping and handling included! Read on for more information about this book and how to order it! Over the past few days millions of people have been monitoring the progress of monster hurricane MATTHEW, which reached category 5 intensity for a few hours on 1 October, worrying about the damage and other adverse consequences that will be caused by the impact of this storm on buildings, houses, infrastructure and the beaches and local environment. Residents of the Windward Islands, northern Venezuela and Colombia, the Virgin Islands, Puerto Rico, Central America, Belize, Mexico’s Yucatan Peninsula, Florida, Jamaica, Haiti, Dominican Republic, Cuba, the Bahamas, and the USA Atlantic coastal regions beyond, have been and are worried about devastation and human suffering that will be wrought by MATTHEW’s passage. Against the possibility of damaging impact from Hurricane Matthew or any other future hurricane, in this one of the most hurricane vulnerable regions anywhere, it would be fair to ask if you, as a homeowner, or building manager, or hospital administrator, or public official sworn to guard the welfare of the people, or just as a resident or visitor to hurricane vulnerable communities, have confidence in how your building or house will perform under hurricane impact? Do you know what design criteria was used to build your building? Do you consider your building to be hurricane-resistant? Is your building protected against the impact of storm surge and breaking waves, in addition to wind? How is sea-level rise affecting the structural integrity of your building? Are you confident you have specific answers to these and many other similar questions regarding the performance of your building or house under expected impacts from hurricanes? Or how such expected impacts are being exacerbated by sea level rise and global warming? Do you know what to do to improve the design of a new building or an existing one, to improve performance and reduce the potential for damage under expected hurricane impacts? This book ‘Hurricane Mitigation for the Built Environment’ based on actual field work, years of experience assessing building damage caused by hurricanes, and practicing hurricane mitigation, by Ricardo A. Alvarez, will help you answer these questions and clearly understand the issues involved. You can now get this invaluable resource at 20% off the publisher’s price including shipping and handling. To order online please visit http://www.crcpress.com. Use the search box on the upper right of the page and search for K25318. This will bring-up the book and you can put it in your shopping cart. Use the code LFO20 to get your 20% discount!